Five years ago, Henry the chimpanzee was near death. Rescued from the dark, dirty conditions of a garage where he was held for 15 years by a private owner who somehow thought that keeping a chimp as a pet in a rusty cage was a good idea, Henry was emaciated, had sores all over his body, and was vomiting blood. 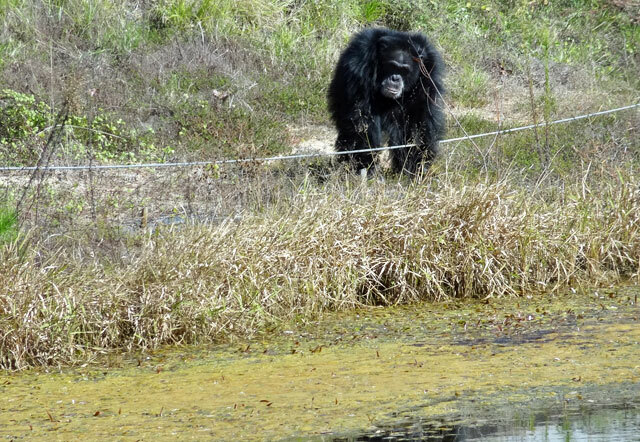 The years of neglect had taken their toll, but fortunately, a neighbor discovered Henry and called the authorities, beginning a process that ended with Henry’s arrival at Chimp Haven, the National Chimpanzee Sanctuary, located in Keithville, Louisiana, just outside Shreveport. 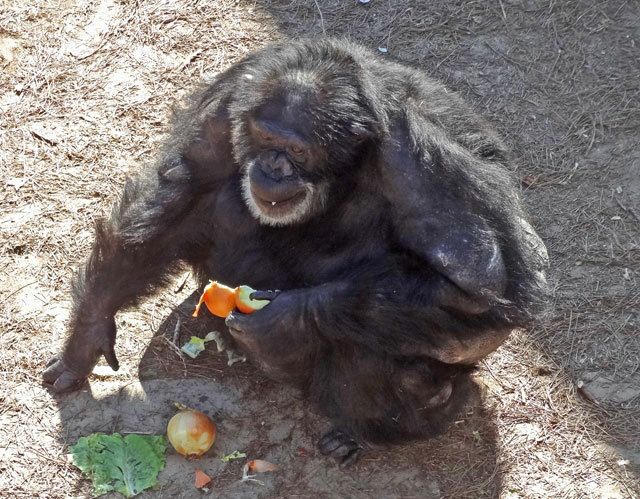 During his early days at Chimp Haven, Henry struggled since he had never been properly socialized. He had no idea how to be a chimpanzee and was not accepted by the others. When it rained, he would sit outside getting drenched, something chimps rarely do, because he preferred that to being in the indoor enclosure and having to interact with his peers. These days, at age 28, Henry is healthy and in fact has become the dominant male of his group. He’s also a prolific tree climber, having learned the skill by observing the other primates. During my recent visit to Chimp Haven, he greeted us and excitedly followed along with our vehicle from the other side of a small lake. I’ll go so far as to describe his behavior as “gallivanting.” This fellow has a lot of energy! You’d never know Henry had a troubled past from looking at him now. 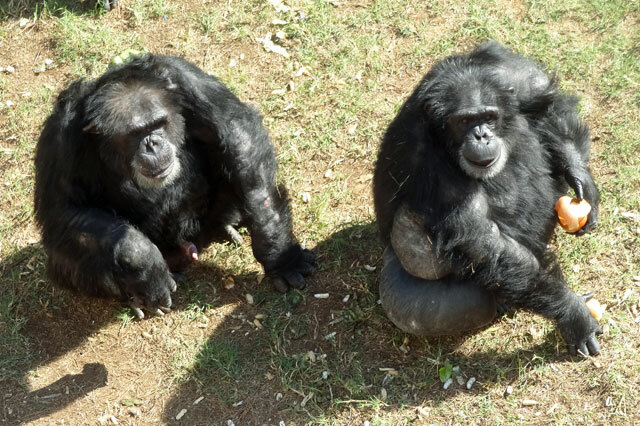 His recovery is a heartwarming success story for Chimp Haven. Henry the chimp watches a group of visitors to Chimp Haven. Chimp Haven was founded in 1995, becoming the National Chimpanzee Sanctuary in 2002. Its current 200-acre site now houses just over 200 chimps. All but 14 are former lab animals, used in experiments and biomedical research. A handful, like Henry, were pets or worked in the entertainment industry. The oldest is 60 years old. 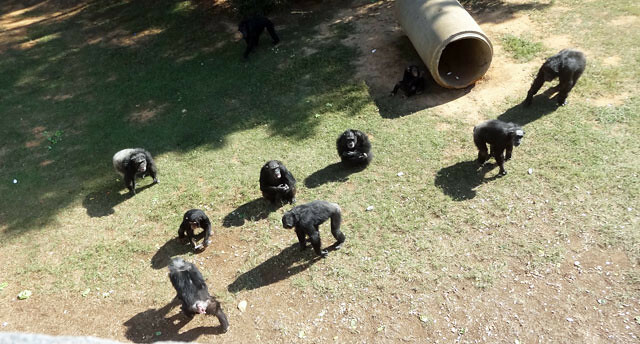 The forested grounds of Chimp Haven are divided into separate sections with groups of chimps that live and play together with minimal human intervention. They are fed and cared for by workers, but for the most part they live on their own within their habitats and have the ability to move from the outdoor environments to their indoor enclosures whenever they like. The animals are split into groups depending on their needs – some have diseases like HIV and hepatitis, some are elderly, some are rowdy teenagers. On this day, I got to witness feeding time. The chimps were given onions and bananas. The onions were passed out first because, like humans, the chimps would always choose a sweet, sweet banana over an onion if given the choice. Also just like humans, chimps have unique personalities. Twenty-nine-year-old Violet has taken a liking to SpongeBob stuffed toys, which she carries around with her. Sara is a food lover who sometimes sneaks away treats from the others when they aren’t looking. Sting is a 22-year-old smitten with a female named Abby from a neighboring enclosure. 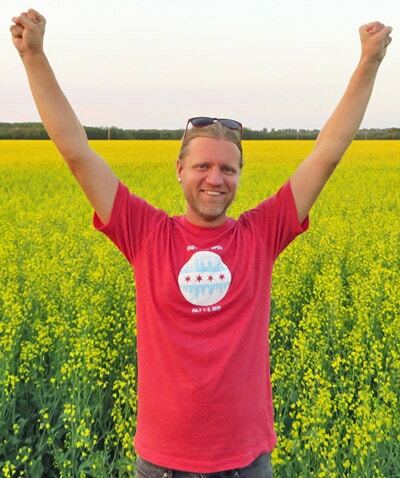 Jeff is a strong male who isn’t afraid to show his affinity for roses and plastic toys. Handlers do not enter the enclosures while chimps are active, as the animals have naturally aggressive tendencies. 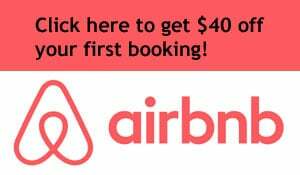 They can often be heard yelling and can be aggressive toward raccoons, snakes, and skunks that make the mistake of wandering into their territory. 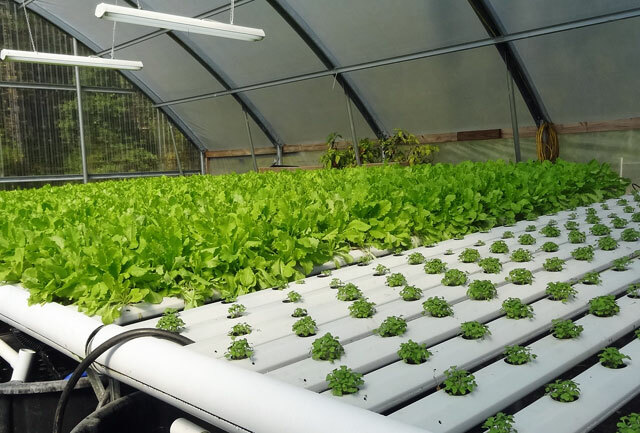 One of the cool sights behind the scenes is this indoor growing room that produces some of the veggies for the chimpanzees’ diet. The food travels an entire 50 feet from the greenhouse to the chimps’ enclosures. It’s the ultimate in farm-to-table dining! 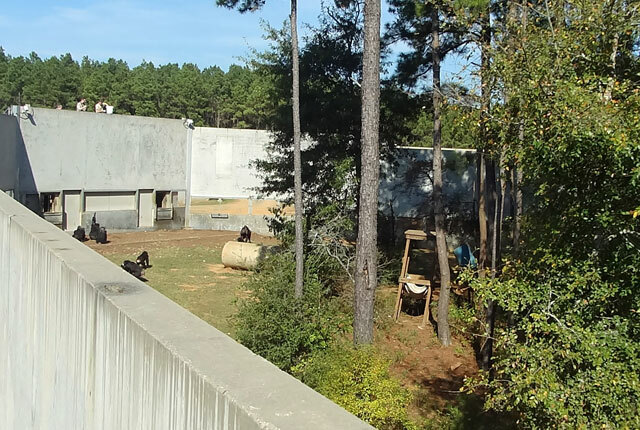 Fun Hollywood fact: All of the vocalizations for the 2014 film Dawn of the Planet of the Apes were recorded at Chimp Haven. Because Chimp Haven was designed for its chimps rather than for tourists, it is not open to the public daily like a zoo. But the sanctuary does make an effort connect with the local community by offering special events for the public. 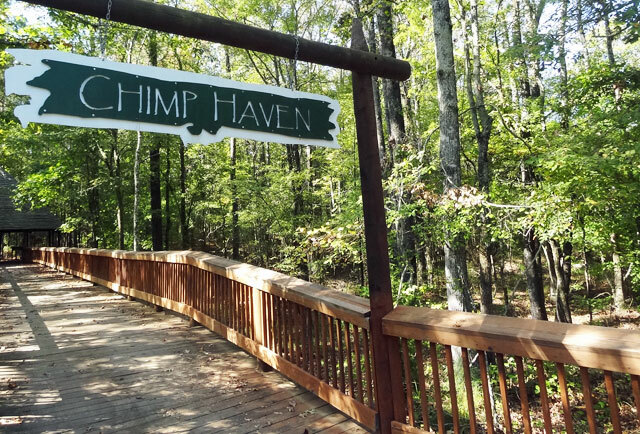 Several times a year, Chimp Haven hosts Chimpanzee Discovery Day, which can attract hundreds of guests. Besides providing an opportunity to see the chimps, Discovery Day caters to families with themed activities, like the hayrides and carnival games of the recent Fall Festival. Another option for curious visitors is the occasional Chimp, Chat & Chew activity, which allows guests to pay a premium price to enjoy breakfast on site and take part in a behind-the-scenes tour of the grounds and a Q&A with staff. Long-term goals for the site include an on-site museum and gift shop. 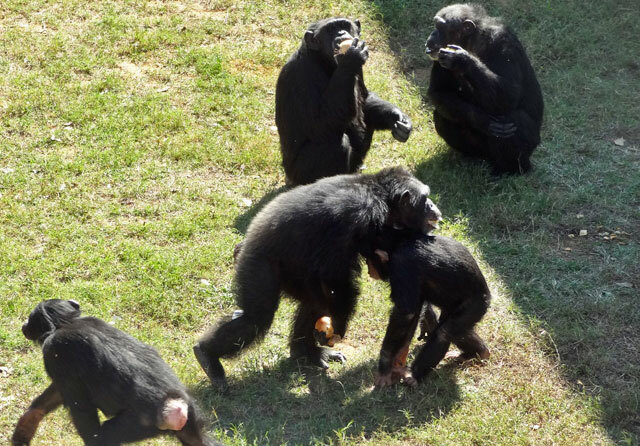 Though the federal government covers a percentage of its costs, Chimp Haven still relies on donations to provide the proper care for its residents. Those not in the Shreveport area who wish to support the facility can contribute online or purchase artwork created by chimpanzees. Chimps are humans’ closest relatives, and seeing their personalities up close really brought home the importance of the work being done at Chimp Haven to give these retired and rescued animals a chance to live out their remaining years in a peaceful and safe environment. I would travel to Louisiana just to see this place. I am a great supporter of places that give a second chance to rescued animals, like Sepilok in Borneo. I’ve never seen a chimp so this would be the ideal place, and thanks for sharing the animals’ stories. I’m glad to know Henry is having a good life now. I agree, facilities that rescue animals are some of my favorite places to support. What a positive environment for the chimps. So glad to read that Henry has a good life now. Sometimes ya gotta wonder what goes through peoples heads. I’m always impressed by the places you find to visit! Thanks Patti. This was a great discovery with a great story!